In this episode of the Better Business Coach podcast I explain how to use the second FREE worksheet I give away, available for download here. This worksheet forms the first part of your first paid client session and is used to re-unfreeze the client to the fact that they must embrace change to fix their current business challenges. You may be thinking, “Why do we need to go through the unfreezing process again? Surely the client will want to get straight into fixing their issues.” After all, we did a full unfreeze in the Business Needs Analysis and now they have paid for our help. In reality, this is not the case. First, if you followed my advice in session 10, you booked this session two weeks after the Business Needs Analysis, and in small business, two weeks is like a decade. Their business challenges have probably changed and to be honest, they have probably forgotten what that challenge was and may be thinking, “Why did I agree to this coaching anyway?” This session will turn all that around. I find that by completion of this template, I know I have them. They are pushing me to move to the next template and go from watching the clock because they want to get back to work to watching the clock because they want to get as much done with you as possible. This is a very simple worksheet designed to be short and sweet, but sometimes simple is best. This is not meant to be an intervention, so don’t dwell on anything. Just ask the question, accept the information they tell, and move on. You are just looking for low lying fruit at this stage. 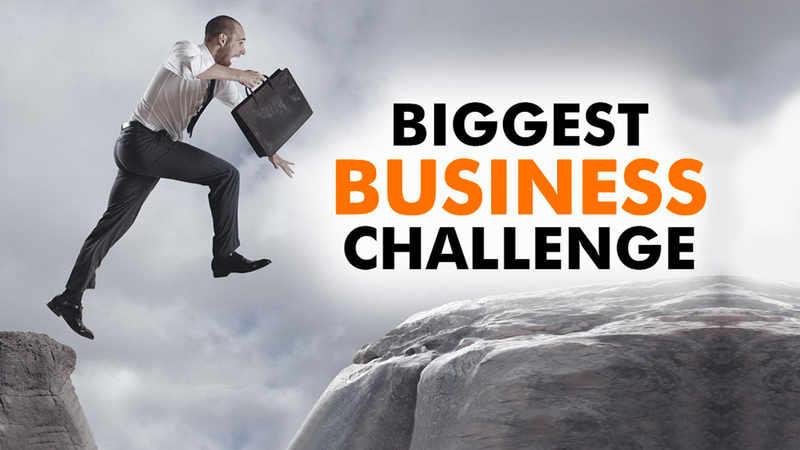 Question 1 – What are your major business challenges at the moment? This answer can be vastly different from the Business Needs Analysis, so you need to ask the question again. This question is highly important as we will link everything from the following questions back to this challenge to obtain a successful unfreeze. Remember the lessons from session 9: listen, don’t interrupt, and whatever they say is the right answer. This is what’s really keeping them up at night and the key to your long term engagement. Try to stay as content free as possible. We are just asking to get a general feel, so just get the number and move on. Of course, some people will not be able to answer without giving you a full story. Remember that they may need to get this information off their chest, so let them speak. But move on as soon as you can. Note: If the finances are down it is often a reflection of other areas. Don’t be surprised when you get to internal processes and you hear the response, “What’s that?” When you explain that these are procedure manuals for sales, marketing, collections, recruitment, etc., you will generally hear, “What? I need to have procedures for all these things?” This should be magic to your ears as this means no succession planning, no sell-able asset, and in short – months of guaranteed coaching. Important – Avoid the urge to say anything; don’t challenge, suggest or hint. Just listen. What ever they tell you is correct. We are just trying to get their perception of where the problems lie at this stage. Take good notes though. What you think, see, and read between the lines will be valuable information for later. A good example of a time you will want to say something is when they tell you their customer service is great. All business owners think their customer service is great. 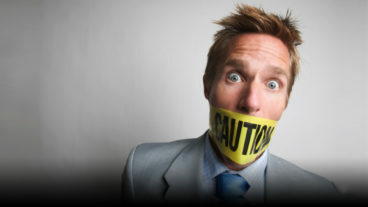 All business owners are generally wrong, but bite your tongue for now and take good notes. Ask the client, “You said (category) was bad, what’s bad about it?” Then wait for the answer, however long that takes. If you don’t let them think about the answer, you may miss out on the real cherry that could mean months of coaching and a rapid change in the businesses trajectory. Customer Service – How many referrals their staff gets compared to when they deliver the product or service. Again, whatever they say you must go with. Don’t challenge them, as they learn from you and as their awareness raises they will discover things are not as good in other areas too. Here we bring everything that the client suggested as bad back to their major business challenge and explain how it is connected. For example, if they said their major challenge was cash flow and we find they said their staff are also an issue, we can then explain that cash flow is clearly an issue in part because of ineffective staff, meaning you need more staff that cut into your profit. The realisation that their challenges can be fixed is a massive relief for many clients. Don’t be surprised if there are a few tears. Now you are ready to move on to the next part of this session. This will follow very soon. Important – Don’t forget, if their biggest challenge mentioned in the Business Needs Analysis still exists, you must work on that in this session. No problem. You should have finished this sheet in just 30-40 minutes and you have plenty of time for other templates and helping the client fix their problem from the last session. You will probably find the problem fixes itself or the solution arrives during this session anyway. 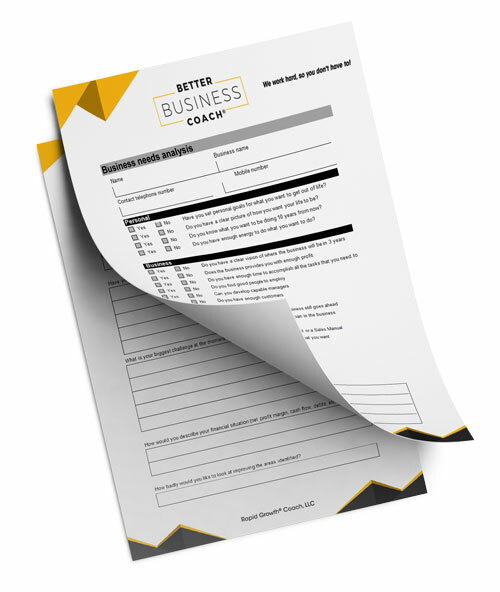 Download the “Where is My Business Now” worksheet! I can’t wait to share this content with you; it’s going to make such a difference in your business coaching business. I am really looking forward to hearing the stories of success that you have with your clients. I look forward to spending the next sessions with you helping you to make the best business coaching business that you could possibly have. Hello everyone, and welcome back. This is the second session that you will run through with your clients. This is another video session, so if you’re listening to the audio make sure you don’t forget to also listen to the video. And make sure you don’t forget to subscribe to the video as well, so you don’t miss out on any of these wonderful sessions! Okay, so this session is specifically designed to uncover true problems that a business has. Now you may have thought you did this in the Business Needs Analysis. If you did it a few weeks ago, things change. But secondly, it’s designed to much more in depth get to the client’s root problem so you can turn them into a weekly, monthly client. This is designed to turn them into putty in your hands. Let me show you. Let’s get straight into it! The Where Is Your Business Now template. This is a very simple framework. But sometimes – well, a lot of the time – simple is best. As Richard Branson said, “any fool can make something complicated. What’s hard is making something simple.” Now don’t forget as you’re going through this that you made a promise as part of your Business Needs Analysis, which we covered in Sessions 7 and 8, that you would help them during this session to fix what their biggest challenge is, or at least what their biggest challenge was when you had the Business Needs Analysis. So make sure you incorporate that before this template or after this template and the other templates that you’re going to be doing as part of your first session. That’s right, this is only part of the first paid session that you’ll do with a client. And because it’s only part of your first session, this template actually focuses again on Short and Sharp Unfreezing, which is what we discussed primarily in Session 12, how important unfreezing is to getting people to buy into creating change, or deciding that they need to pay for you and engage you to go about doing that. What we are doing in this Where Is Your Business Now template, at least at the start, is reminding them how important working with you is. So, we’re going to ask a lot of questions about the problems that they are experiencing in their business, again, just so that we can get them to re-unfreeze before we go through the rest of the templates that we’ll cover as part of the first session. This will incorporate a group of different templates that I will give to you as we proceed over the coming weeks. It’s super important that you don’t interrogate the customer. Don’t dwell on anything, just ask the questions quickly and then move on to the next one. All you’re trying to do is get a quick opinion and decide what to focus your time on, what’s the low-lying fruit (so) you can make the customer believe that you are doing the job that you told them you were going to do as part of the Business Needs Analysis. So again, this is about quick, sharp snapshots, what can we fix now. What I always find after doing this worksheet with a client is, I feel like I’ve got them as a long-term client. They really want to keep going to the next templates, which are the ones I’ll give you over the coming weeks in the same session. They’re not looking to get away from you at this point; they’re looking at “okay, we’ve got two hours set aside to do this, let’s really hammer through these other templates, because I can really see a lot of problems. I want to get working on this straight away.” What you’re noticing here is they’ve embraced the fact that they’ve got challenges and they want to fix them. So, let’s have a quick look at question one. This is going to look very, very familiar to you. The question is, “what are your major challenges at the moment?” You’ll notice we asked this question – as a matter of fact, you promised to fix their major challenge from the Business Needs Analysis in this session; however, things change every day in a business. Two weeks, which is how long ahead I suggested that you booked this session for your first paid session with a client in the Business Needs Analysis, things will change. Two weeks in a small business is a millennium, and you need to look at what the current challenges are. It really doesn’t matter where they were two weeks ago; everything could be different. Staff may have left and they may have staffing issues. They may have had somebody not pay a bill and now they’ve got cash flow issues. So you need to ask the question again. However, what I find comes up a lot of the time is cash flow is a major issue. “I’ve got money stresses. I’ve got bills coming in. I’m really, really struggling under the pressure of paying all these bills.” The next thing I find comes up a lot is on working 90 hours a week. “How do I stop working so hard?” And the third one is “the staff aren’t doing what they’re told, and they never listen to me, and I can’t rely on them.” When you ask this question, don’t help them, just go with whatever they say, write down what they say and what you believe the underlying problems are. You’ll want to talk here, but don’t. It’s purely an information gathering process, because you use this at the end to fully unfreeze them so that we can proceed into the next documents. You’re really just trying to find out what’s keeping them up at night, and by talking, you can’t hear what they’re saying. Again, we spoke about active listening quite considerably in the last sessions, so make sure that you listen to what their core challenges are. If you interpret, if you help, if you suggest, you’re not going to come up with the underlying problems and pinpoint exactly what you can do to fix them. This is really an exercise in active listening. Let’s scroll down to question two. Here, what we are trying to do is, we want people to rate – as in, Great, Needs Attention, or Bad – for each one of these key areas. What you will notice from these key areas is, we’ve really broken them into departments, or silos, if you like. Again, this is their perception, so just go with it. You’re going to want to chime in, you’ll want to say something, you’ll want to challenge them every step of the way here; however, this is not to your benefit. What you’re really trying to do is get an understanding of where they are currently at. And as their awareness grows, in the future, they will realise that things that they perceived as good perhaps aren’t as good as they thought they were. However for now, they’re still going to talk about the specific things that they think are bad, and you can work on that because these are the things that they’ll see as you creating good change. What you focus on here, though, is a pure scaling exercise. We will focus on 1 to 10 scaling and stay as detail-free as possible for now. Don’t forget we’re going to get our hands dirty real soon! But again, we’re unfreezing. We want to hear what they have to say. We’re going to be telling lots in the future. We want them to believe that we completely understand their problem before we start telling them how to fix it. What we’re really focusing on here is just a general feel, so numbers is all you really need. You don’t need all the detail. Unfortunately, what you’ll find is a lot of people can’t tell you a number without telling you a story. This isn’t a bad thing! A lot of people, as we spoke about, want to discuss their problems. They want to vent and sometimes they’ll pay you as a coach just to be their sounding board or just to be their shoulder to cry on. So don’t shut them off. Listen to what they have to say, but keep directional. Because if you let them go too long, they’ll get to the end of the session and they’ll think “we didn’t really cover anything. Maybe this coaching is a waste of time.” So again, some people can’t give a number without telling a story, but what you really need to do is listen for a period of time and then direct them to giving you a number. Other people will just give you a number and you can move straight on, which is ideal. Customer Service, on the other hand, which is the next one, you will find that everyone will say “it’s great.” You’ll know that they’re wrong; however, again, you just have to go with what they say at this point. The next one is Internal Processes. You will find people won’t understand what that means, and when you start saying “do you have procedures for marketing, collection, accounts, staffing, hiring, all sorts of things about basically everything you do as an organisation, what they’ll say is “what? I need to have procedures for this?” This will highlight the fact that they have no succession planning in place, and all of a sudden they’ll realise that they don’t have procedures for these things and that’s a big problem for business. This is going to be one of those big “I don’t understand that I have a problem” and you’re really unfreezing them to the fact they do. But at this stage, when we say Internal Processes, they’ll say “what you mean? Most of my processes are great!” You can say something like “do you have procedure manuals for marketing, collections, accounts, staff, that sort of thing?” And they will say “Well, no. I don’t have that.” And you can say “okay, we’re going to flag it is a Bad at the moment. I’ll explain to you why that’s so important later down the track.” They’ll then agree and you can move on. Employee Performance, as we said, quite frequently they will say that this is a problem for them. They can’t get staff to be accountable, can’t trust them to do things, they’ll highlight a bunch of problems. And you’ll find that if they do have staff problems, they won’t be able to just give you a number. They’ll want to talk to you about the story. Marketing and Sales. You’ll find people usually say that these are bad and that they need attention. What people quite often will do, though, is group them, like I just did, together, and marketing and sales are very, very separate things. For instance, most people get me in to coach them on rapid growth and assume I’m going to talk to them purely about sales and how to get more clients, when really I take them back to the marketing and look at how they can differentiate their products and services, how they can find new niches of willing-to-buy customers well before we even talk about the sales system, because those messages flow into the sales system. Again, most people incorporate the two together. This isn’t an education session at the moment, we’re just trying to figure out where they’re at so they may rate them both as Need Attention, and they may rate them both as Bad, and that’s fine. We can just accept that and then we can move on to the next question. So let’s scroll down now to the final question. What this really is, is, it says “if the ratings are Need Attention or Bad, write down dot-points of what you have noticed in these areas.” So for this question, really what you’re doing is, if it says Need Attention or Bad, you’re going to write down in dot-points what you’ve noticed. This is an involvement process about what things they say they’re struggling with and what things you’ve noticed as a result of that. So you can say “okay, so, in Finances you said that they’re bad. What about them are bad?” Then what you want to do is absolutely go into silence and allow them to speak. We cover this in Session 9, Active Listening. We talked about this in detail. If you don’t take a second and pause to give them the opportunity to calculate their thoughts and give you a well-thought-out answer you doing yourself a disjustice because you’re not getting to the real problem. So create that silence and give them as long as they need to answer that question. Then what you’ll find is, for Finances for instance, they’ll say something like “cash flow is a problem.” What you’ll realise out of that is they don’t have regular reports, and the other thing that you’ll see is if there is no money in the bank, it is quite often a cause of lots of other things that result in no money in the bank and you can start to highlight – maybe it’s employees, maybe it’s customer service, maybe it’s poor sales – again you’re not telling them this, this is just you writing things down so that you could talk about them in a second. I’m not going to spend any time on the next one, which is customer service, just because most clients at this stage will say that it’s fantastic, so let’s just assume that they’ve done that in this case. Internal processes, again, a lot of people will just say “what? Do I need to have these things?” and they won’t have any idea what you’re talking about. This will require extra explanation, but again, just dot-point the fact that they’ve said that and you can move on. The next one, Employee Performance, they will say things like “I’m not getting what I want out of them, they’re not reliable.” Just dot-point all these things down. Again, all we’re doing is data collecting at this stage. So, Marketing, we’re then talking about “are you getting the word out? 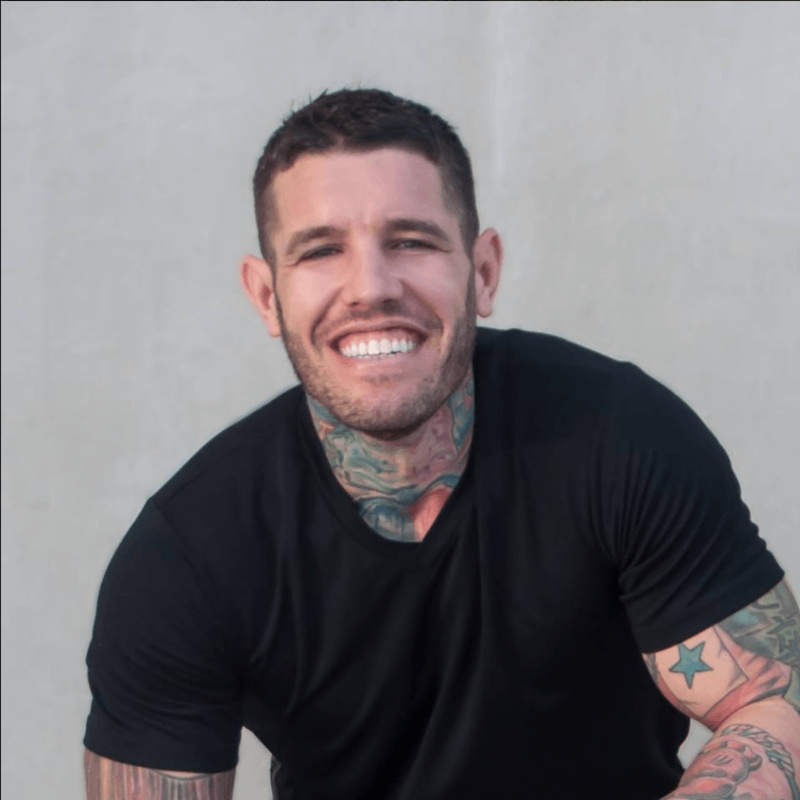 Is it working?” Sales, “are you getting enough at the right price?” So many people are getting lots of sales but they’re barely making a margin and that’s why their profits are low. Other people are making sales, making huge margins, but don’t get enough customers, and this is a major problem also. Again, all we’re doing is we’re highlighting specific problems that we can talk about later. Now that we’ve completed this, we’ve got all these dot points down, we’re going to bring them back to their major challenge, and how it is connected to all of the specific things that they’ve rated as Need Attention or Bad, and then all of the dot pointing from question three about the specific things that they’ve highlighted and things that you’ve noticed. Again, a lot of the time it’s going to be “I’m working too hard. I’m working 90 hours a week. I never have any money in the bank. Cash flow is an issue. Staff never seem to do what I say, they never seem to hold themselves accountable, if I’m not there they won’t work.” All of these things we can link back into. But let’s say they say one of their major challenges is cash flow, and we find that they say that “the staff don’t hold themselves accountable. They don’t do the work as effectively as I do, so I’m always having to do things myself.” You can link this back to cash flow and say “due to this, you’re not getting the cash flow that you need because you’re paying all this money for staff.” And you will by now know those numbers pretty well, about what they’re paying staff. You can say “you’ve got five staff that you’re paying $50,000 a year each, that’s $250,000, and you’re saying they’re only operating at about half effectiveness. That basically means that you’re throwing away $125,000 a year. And you can’t rely on them! That would mean you’ve got to be here. So, what we really want to do is, we want to focus on making sure that these staff are a.) accountable, and b.) as productive as possible so we can double the amount of workload that we give them before we need to hire yet another staff member. Plus, we need to make sure that they’re accountable so that you can actually take some time off, so you don’t have to be in your business 90 hours a week.” All of a sudden, what we’re doing is, we’re transitioning that we may be costing $600 an hour or, as we just spoke about in Session 12, you may be charging for an entire package and may be charging $3000, and straight away the low-lying fruit we just highlighted is $125,000 savings. Do you think that they’re going to feel that they’re getting their money’s worth? Of course they are! This is such a wonderful unfreezing document! I focused on customer service once with a client that was an electrician, and he simply said to me that he was getting at least one referral per time he was out delivering a service to a customer, yet his staff never seemed to get a referral. Once we calculated how much money originated from those referrals he realised that all of a sudden he was losing something like $70,000 per staff member that went out, that wasn’t him, and lost business. It didn’t take much for him to say “okay, we need to focus on this. We need to get it fixed. What can we do to start making this change?” And from my point of view, that was guaranteed coaching for at least two months because we had to a.) 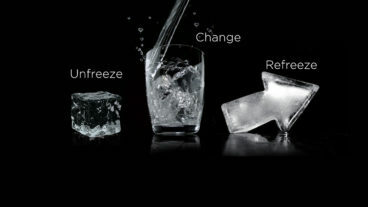 unfreeze the staff to the fact that they needed to change; b.) make the change; and, c.) refreeze them to the fact that they now were doing this new process and would have to get referrals, and that was part of their job. That was two full months, and came out of something as simple as that! Then, all of a sudden, from the next time that we went through this process they found that all of the sudden they are getting all these referrals. Now they have all these issues with debt collection, and we have to talk to them about getting money upfront and then we had a whole new group of sessions available. So this will always work with transitioning a customer from “okay, I’ve got a challenge” to “okay, let’s work together to fix it.” What you’ll find is, very quickly as you go through just the numbering system in question two and move into question three, you’ll see that they’re starting to get antsy and they want to move into the next form to actually start fixing things and identifying how to fix things. So this is a hugely beneficial worksheet to re-unfreeze them to the fact that changes are needed, to motivate them to move forward into the next and the next and next shape. This should really only take about half an hour, maybe 40 minutes of the two-hour session; however, it’s enough to motivate them to be as interested as possible in all of the other sessions as opposed to shirking, if you like, and not being that interested and really still questioning you about whether or not they paid this money for a good reason, as opposed to just got themselves convinced last time and I can remember quite why that was. So this form or this template will take them from “why exactly do I want coaching again” to “that’s right, let’s get started.” Then you move into the next template. That’s why this form is so, so exciting to work with at the start. Even though it covers off a couple of these other challenges that we discussed in Business Needs Analysis, they’re going to bring out different problems. You’re doing it in a different way, and if you ask a question three different ways you can get three different answers. And each one of those is going to give you additional problems that you can work on as a coach over the long-term. Again, this template is available at Matthewpollard.com/BBC013, so please take a second to go there and download that template. Okay, everyone, I hope you got a lot out of that and I hope you can see just how transitionary this is for any client. It’s really going to take them from saying “I’m not sure if I have a problem” to “can we get started? What’s the first step?” Depending on your skill, you will transfer that into a paying client straight away month by month, week by week, year by year, whichever one works best for you, or into one paying client for one other session, where I will show you how to transfer them into a continuous client. I hope you got a lot out of this session. If you like what you listened to or what you saw, depending on whether you’re listening to the video or the audio podcast, if you haven’t subscribed to both, make sure you do so, because there’s a lot more available in audio. Also, to make sure you don’t miss out on any the video content where I run through these amazing worksheets. However, if you got a lot out of this content, I’d really appreciate you reviewing it on iTunes and providing the star rating you think it is worthy. Thank you very much for you time, and I look forward to seeing you in the next session!